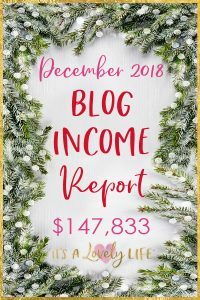 December 2018 Blog Income Report – It's a Lovely Life! 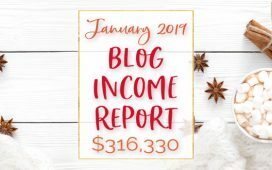 Welcome to the December 2018 edition of our online business/blog income report. As you'll see by reading the report, the income does not only come from our blog but also our courses because selling digital products (such as a course like we do) is a great way to monetize a blog. Not only are we location independent, but we also involve our whole family in our business. This gives us the opportunity to show our children how to earn money online, teach them many important business and life skills, and most importantly, show them that the world is much different in 2018. We're teaching them the skills to thrive in the future, not the past. Gone are the days when children had to go to a four-year college to land a corporate job that they will work at for 40 years until they retire. We'll be continuing our focus on “Family Business” in 2019 because we are asked about it all the time. We're passionate about showing others how to start their own blog and online family businesses. What we've done is very possible for others to emulate with the right knowledge and plan. One more thing… although the numbers listed in this report are pretty substantial, we have some very big goals and we're planning to continue to build our family business to even higher levels. December 2018 was our slowest month of the year. Our income for the month was substantial, but also far below many of the previous months of 2018. As with all businesses, there are ups and downs, but I certainly always appreciate the ups a little more! We've been doing income reports since March of 2017, and if you read them all, you'll see that our income has increased substantially over the past year and a half. I want you to know that it doesn't take forever to scale things up if you provide a good service and use some solid principles to increase your business. 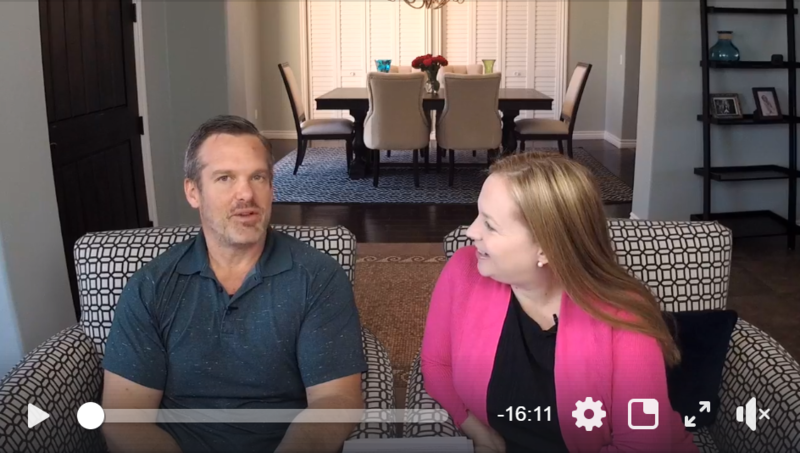 I know it's a little crazy to post our income figures every month, but we do it because we know that it can help others on their own journey to increase their online income. In 2018 we've been to Hawaii on (2 separate trips), St. Croix (US Virgin Islands), Miami, Orlando, an Alaskan Cruise, Victoria (BC, Canada), San Francisco, Arizona, Disneyland (2 separate trips), Pasadena, Seattle, Montana, Wyoming, Yellowstone National Park, London, Ireland, a transatlantic cruise, Nova Scotia, Newfoundland, New York City, Los Angeles, and Austin, TX! 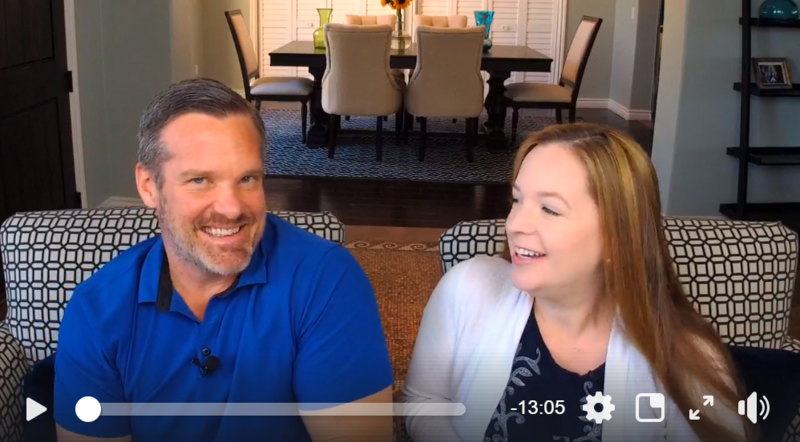 We're continually stepping up our video efforts and are excited about the content we are producing! HERE is our YouTube Channel (we'd love it if you subscribe). We also post most of our videos on our Facebook Page. So far, the results have been amazing. Over 300,000 people have signed up for this course since mid-March 2017, and we're constantly expanding our marketing efforts to reach as many interested people as possible. We're able to hit these types of numbers because we've been using ads on Facebook, Instagram, and Pinterest. Some subscribers come organically from visiting our website, but there is no way we would be achieving these subscription numbers without spending a substantial amount on ads. We spent a sizable amount in ads in December…partially because ads were more expensive due to the holiday shopping season and the fact that we were heading into the busiest time of year for our blogging business. We're working very hard to optimize our ad spend. It is a delicate balance with Facebook and Instagram ads. The more you spend (scale), the less effective these ads are. It is about finding the optimal balance and constantly exploring new ways to increase their effectiveness. 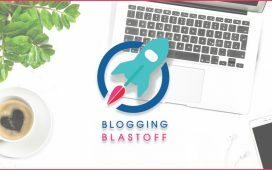 A big step forward for us came in June 2017 when we launched our premium course, the Blogging Blastoff (formerly known as the 30 Day Blogging Fast Track). This is an intensive course that we designed to provide bloggers with exact money making systems, the steps to dramatically increase their social accounts, and also provide a defined system to drive lots of traffic to their blogs. We have successfully launched over 18 months of the Blogging Blastoff course. So far, over 3300 students have enrolled in the course and we look forward to many more successful launches. The Start A Money Making Blog Facebook group now has over 114,000 Members and is growing rapidly. It is the largest new blogger group on Facebook! 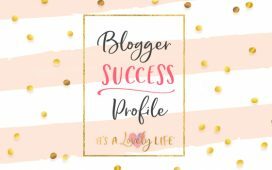 This includes Sponsored blog posts, affiliate sales, sponsored social content for It's A Lovely Life® and sponsored content written for other websites. Course Sales: $73,260 (after Paypal fees, credit card processing fees, and affiliate commissions). These are sales that we made during December. If someone opted for the payment plan, we did not receive the full amount this month. However, we did receive payments from the previous month's payment plans not reflected in this figure. There were a total of 163 Course Sales for the Blogging Blastoff. 88 paid upfront and 75 chose the payment plan. We've collected a list of over 70 reviews and testimonials from previous students which can be found on this page. There were a total of 37 Course Sales for the Travel Blogging Fast Track. 34 paid upfront and 3 chose the payment plan. BIG NEWS!! We have a new webinar that has been filmed teaching all about how to line up comped travel. As soon as it is live, we will link it here! Facebook and Instagram Ads – Used to drive sign-ups for our free email courses and build our email list. We spent $104,676.82 in November 2018. One note about our ad spend amounts noted above… Yes, this is a lot of money that we spent in December. Most of this money was spent to promote our free 5 Day Email Crash Course for starting a blog. We also spent a considerable amount on promoting our travel blogging webinar. We do get some immediate return on this amount that we spent, but mostly, it is an investment in the income for future months. Our December 2018 income of $147,833 is one of the lowest amounts of 2018. This wasn't the best month due to the holiday season. The good news is that January has the potential to be a really great month for the business, so we are excited about that. We know that our business has plenty of room to grow and we can't wait to see where we can take it. Since this is the last month of the year, we have a total 2018 income of $2,274,874.24 which is an average of $189,572.85 per month. There is always a lot of interest in our online course business. We're working on a magnitude of new content now that will show you more specifically how we create, market, sell, and support our students. Creating an online course is an excellent way to monetize a blog and one of our big goals is always to help as many people as we can live the lives of their dreams. We are working on a new webinar focused on how we travel the world for free. It's taken a lot of time and preparation, but we will be ready to launch it very soon! As for Travel Blogging in December, we made the conscious decision to stay “home for the holidays”! Of course, that didn't stop us from working on lining up some great trips for 2019! Also, we kind of feel like we are traveling every day now that we live at the beach. This has been such a fun change for us and it has really made us all a little happier! Grow our email list by 20,000 subscribers in December. We currently have 205,000+ subscribers on our email list. This is our monthly goal that we have been falling a bit short at lately, but we've got some plans in place to hit this goal on a regular basis. We just did a cleanup and removed over 40,000 subscribers that were considered “cold”. This means that these subscribers did not open up any of their emails from us in the past 30 days. We have to do another cold subscriber cleanup of our list soon which will probably remove about 50,000 subscribers. 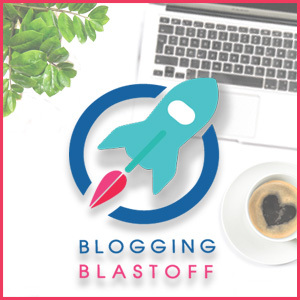 Successfully Launch the December Blogging Blastoff course! Book additional sponsored family travel destinations for 2018 and 2019. We already have some big trips on the books for 2019 that we will be sharing more about soon. Launch our new course in the beginning of 2019. We're working hard behind the scenes on this one. $2,000,000 in income for 2018 – We've just surpassed that! Yes!!! Improve our content – This includes improving and innovating with our video and photo content. Obviously, this is not something that is easily measured, but it is something where we can take steps to improve upon. I feel really good about our progress here. Yes, did it! Take some amazing travel blogging trips that feature exceptional experiences. We've already taken some incredible trips in 2018! Yes, did it! Add 400,000 email subscribers in 2018 – We are consistently adding over 20,000 subscribers to our list each month. We want to grow a community of like-minded people on our email list. Nope, didn't happen. We ended the year at around 225,000 email subscribers. We removed a lot of cold subscribers over the year and also began falling behind a little each month due to increasing ad costs. This month's screenshot again focuses on our Teachable school. This screenshot shows our 2018 course sales from our Teachable dashboard. The $1,089,896 is the amount of sales, while $1,000,448 is the money we actually received…it is after affiliate income and credit card processing fees have been deducted. We made $1,000,000 in earnings in our online course business for 2018 and I am thrilled about it! So that's it for the December 2018 Family Business Blog income report. Follow along each month as we detail our money-making efforts on the blog.